One of the victims of football coach Barry Bennell has been advising Hollyoaks on its current football abuse storyline. Steve Walters said the plot, which sees coach Buster groom Ollie, is "very difficult to watch" but "spot on". Walters was among those who spoke out about Bennell, leading to him being jailed in February for abusing boys. "We all know it's still going on today, and worse than ever, so this is such an important issue," Walters said. Once regarded as one of England's most promising young players, Walters was abused from the age of 12 when he would stay at Bennell's house during the school holidays. Along with Duncan Craig, chief executive of male abuse charity Survivors Manchester, he has been working with Hollyoaks to make sure their scripts are realistic - within the limits of what can be shown in its 18.30 timeslot. Viewers of the Channel 4 show have seen Buster Smith, played by Nathan Sussex, prey on teenage aspiring footballer Ollie Morgan, played by Aedan Duckworth. The plot reaches a climax this week and Walters, who now runs The Offside Trust, joined the cast at a Royal Television Society preview screening in Salford on Monday. "It was very difficult to watch," he said afterwards. He praised the cast but said it had been "uncomfortable" to meet Sussex because certain things about Buster reminded him of Bennell. He added: "Watching that tonight was certainly very realistic. I know you've got the timeslot, which can be quite frustrating, but the way the grooming process by Buster was [shown was] spot on, to be fair." Walters and Craig suggested changes to scripts in an attempt to ensure they were true to life. 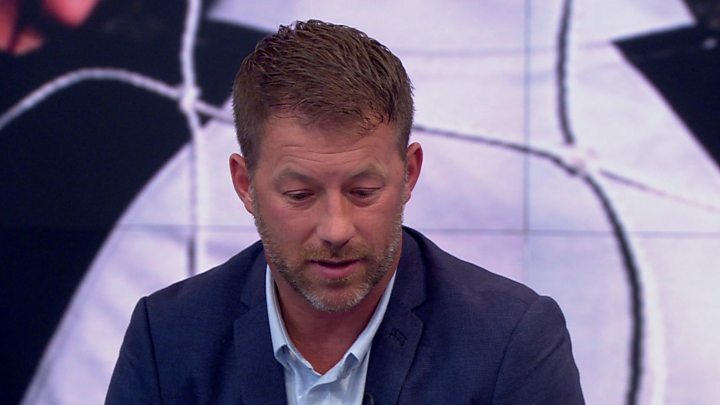 Craig said he believed Hollyoaks had contributed to an increase in survivors of abuse contacting his charity since the storyline had been on air, while Walters said people had contacted him directly. "I've had somebody in their 20s contact me - they've watched Hollyoaks and that's been the trigger for them to come forward," he said. "So even if nobody else comes forward, there's one more person who has." In February, Barry Bennell was jailed for 31 years for 50 counts of child sexual abuse. Described as the "devil incarnate" by the judge at Liverpool Crown Court, he was convicted of abusing 12 boys aged eight to 15 between 1979 and 1991.